Based on the Multi cache Icon from www.geocaching.com. This Micro Geocoin is prefect for taking to events, traveling and collecting. 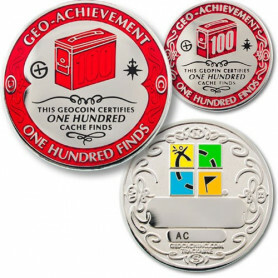 This is another Micro Geocoin in our Icon Series. These micro are great for smaller caches as they can easily fit in film canisters as well as normal size geocaches. They are very affordable!